Businesses operating on a larger scale are facing tremendous challenges in their requirement to implement all regulations arising from the new EU-GDPR across the company, continuously and in full compliance. Thomas Niessen, CEO Trusted Cloud, and Andreas Dangl, Business Unit Executive Cloud Services at Fabasoft, will need no more than 30 minutes to explain how you can meet these challenges with the help of the Cloud. 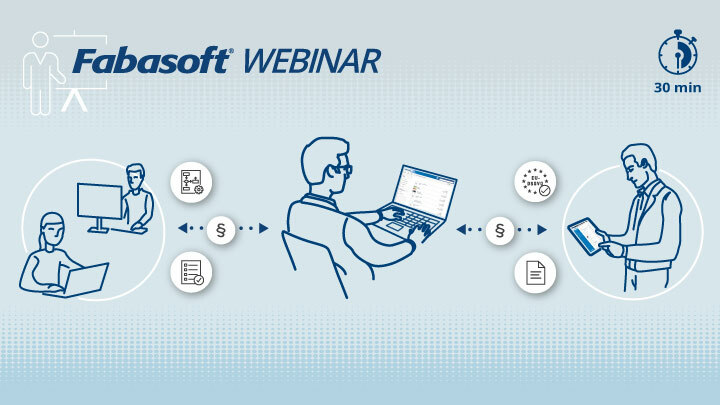 The Fabasoft 30-minute webinar “EU-GDPR-compliant data processing with the Fabasoft Cloud” is held on September 28 from 3:30 to 4:00 pm. Participation is free of charge – all you need is Internet access on a computer or a mobile device. In the wake of EU-GDPR, businesses must not only make sure that data protection requirements are adhered to – they are also obliged to prove compliance. The same is true for data security. In this area too, proof of “appropriate technical and organisational measures” for the protection of the persons concerned is mandatory. Trusted Cloud’s Thomas Niessen will particularly focus on the main changes arising for businesses through EU-GDPR. What are the specific effects on Cloud services? How can the compliance of services be assured? The documentation of all data appliances, processes and responsibilities provides you with a constant overview of data protection at your organisation. You always know which appliances hold personal data, who can access them and which processes have been defined to comply with the EU-GDPR’s obligations on reporting, information and deletion in an efficient and timely manner. The representation of your corporate structure (including access rights, roles, successions, templates and approvals) in the Cloud organisation forms the basis of the Fabasoft Cloud and minimises the effort required for customer-specific adaptations and extensions of processes or structures. The continuous, certified and revision-safe logging of all activities and every access in connection with the administrative processes of a procedures directory is the basis for the legal obligation to provide proof that deadlines for responses to requests and information on violations are adhered to. 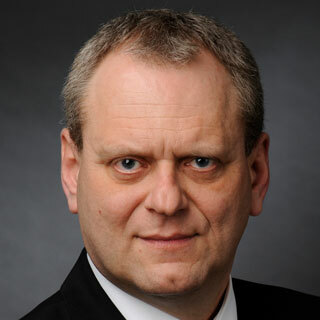 Thomas Niessen is CEO of the Kompetenznetzwerk Trusted Cloud (Competence Network Trusted Cloud) at the German Federal Ministry for Economic Affairs and Energy (BMWi). 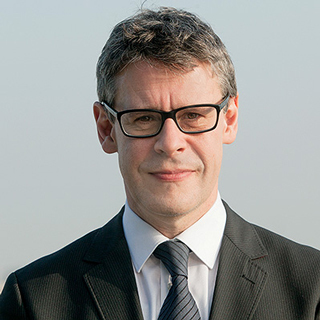 Prior to his current position he was a member of management of the Trusted Cloud Programme of BMWi within the framework of which the TC data protection profile was established. He has many years of experience in the management of software and media organisations and has implemented customer solutions for business outsourcing and Cloud projects that comply with data protection regulations. Please note: the webinar will be held in German! You have no time on the above date? Then register to receive a recording of the webinar. Click the "REGISTER“ button, fill in the short form and download the event to your calendar. You will receive a confirmation email with a unique link to the webinar. A short time before the webinar will begin, click the link you have received via email to participate in the webinar. We will send you an email reminder a few hours earlier to make sure you won’t forget. After the webinar you will receive another email with a link for downloading the recorded webinar. You can also give us feedback and ask further questions. By registering for the event the participant accepts that the personal data submitted above is used to process the enquiry and send informational material and is transmitted to Fabasoft International Services GmbH. This consent can be revoked at any time by letter or email to be addressed to Fabasoft International Services GmbH, Honauerstrasse 4, 4020 Linz, Austria, office@fabasoft.com.